Its been two wet, cold weeks in Sydney. That probably explains why I chose to make a layout using the sun. 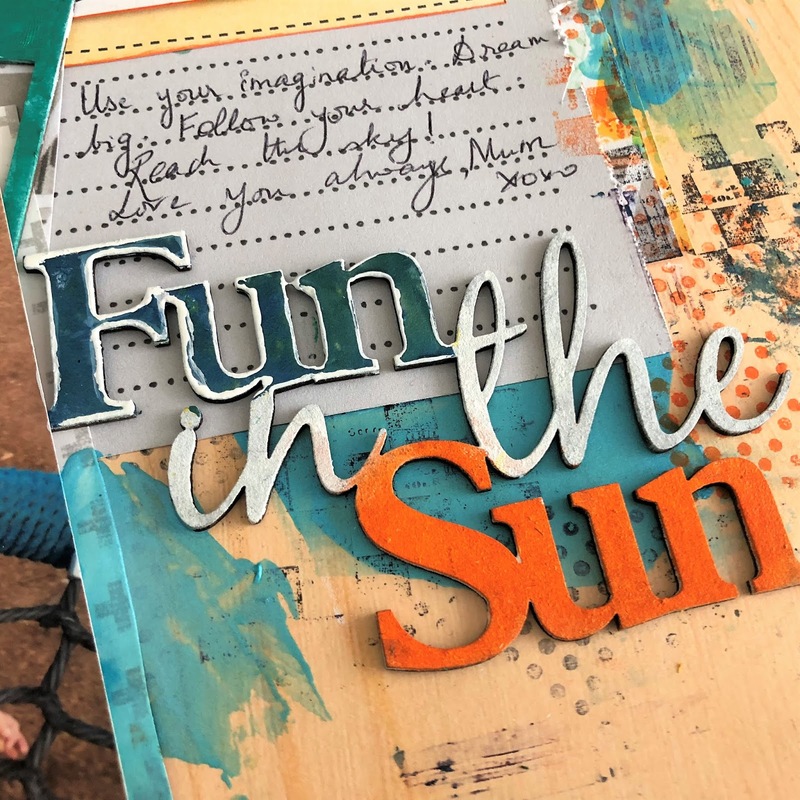 Dancing Suns and the title chipboard Fun in the Sun. All the chipboard pieces were first coated with a layer of white gesso. Once dry, I applied Colourarte Silks using a palette knife on the Polaroid Frames & Dancing Sun. Let the paint dry for a minute then drag the paint again using the palette knife. This left some beautiful texture and just enough grunge. Dry brush a very tiny amount of white to tone down the shiny paint. For the title piece, I wanted the word 'Sun' to stand out. So it was coloured using an orange ink pad. The word 'Fun' was painted on with Colourarte Silks & outlined with a white Posco pen. 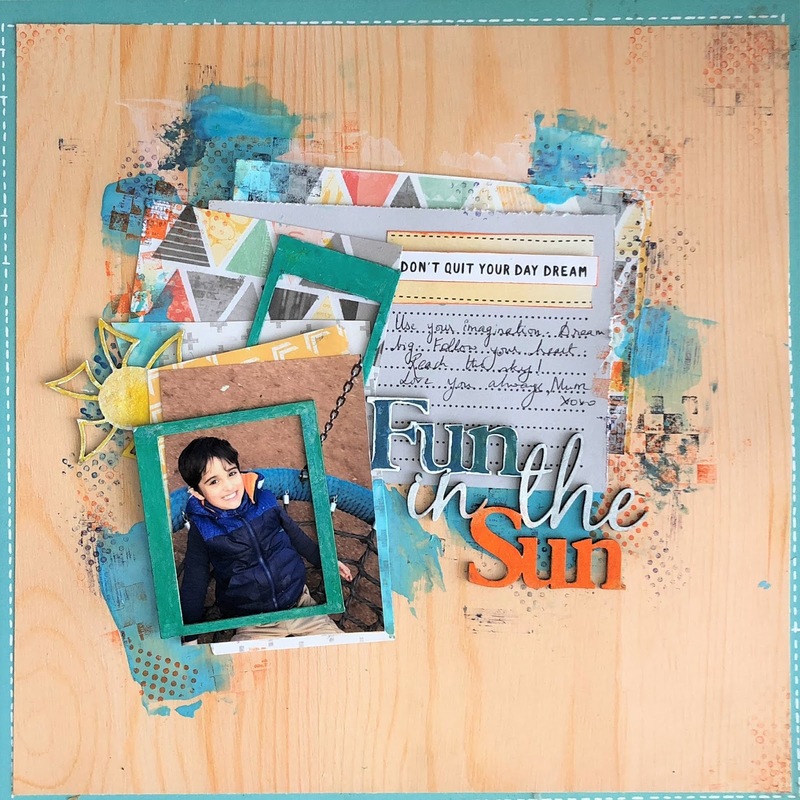 This is so a beautiful layout! 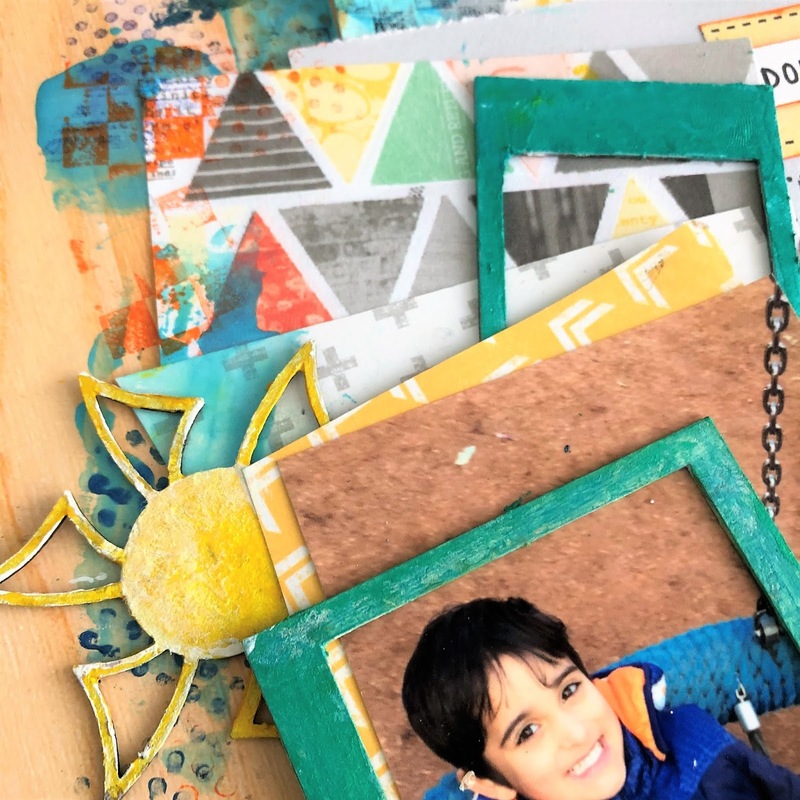 Love what you did with the chipboards! Oh I love your title and that sun is so cute. Great layers! Yep that title chippy is very cool, stands out perfectly. Great use of all the chippie pieces Kripa.